Since July 2014, Calar Alto Observatory has a fireball detection station which is composed by five high sensitivity CCD cameras. These devices are monitoring the firmament during the whole night and allow automatic identification of meteoroids entering into our atmosphere. These meteoroids are falling material fragments from asteroids, comets or even other planets. The systems installed at Calar Alto for the analysis of these interplanetary matter are part of the SMART project, developed under the scientific direction of Prof. José María Madiedo (Universidad de Huelva) in collaboration with the Instituto de Astrofísica de Andalucía (IAA-CSIC). 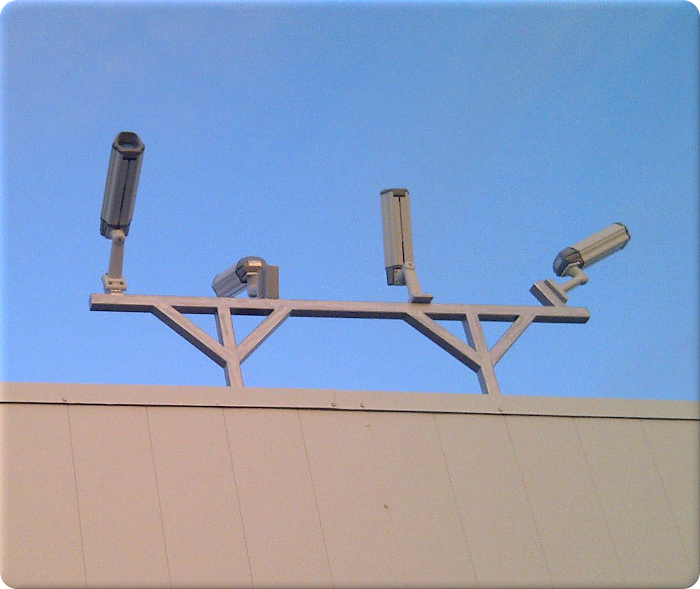 By clicking here you will go to the web page containing all the objects observed with this new system and with Calar Alto external surveillance webcams. That web page will be upgrade as soon as new fireballs are detected. The earth, in its movement around the sun, intercepts each year between 40.000 and 80.000 Tons of meteoroids, falling material fragments from asteroids, comets or even other planets. Depending on their size, they will be disintegrated in the atmosphere or the will reach the earth surface. Calar Alto Observatory will contribute to a better monitoring of these phenomena thanks to a fireball detection station composed by five hith sensitivity CCD cameras which allow automatic identification of meteoroids entering into our atmosphere. 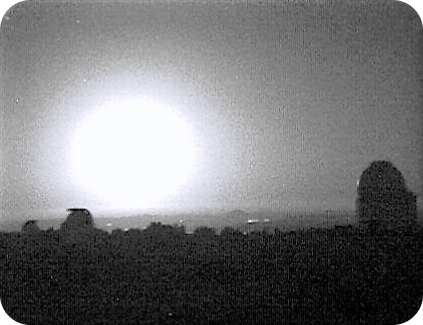 “At Calar Alto we have already detected fireballs thanks to our external surveillance webcams, and we have released those images through our web pages. But this station will suppose a breakthrough on the observatory capacity for studying such phenomena”, Jesús Aceituno, Calar Alto Deputy Director, said. The systems installed at Calar Alto for the analysis of these interplanetary matter are part of the SMART project, developed under the scientific direction of Prof. José María Madiedo (Universidad de Huelva) in collaboration with the Instituto de Astrofísica de Andalucía (IAA-CSIC). The new station at Calar Alto works in conjunction with the other seven stations that conform the SMART project in Andalucía and Castilla-La Mancha, and also with the rest of meteor stations that the “Red Española de Investigación sobre Bólidos y Meteoritos" has installed in other parts of Spain. Thanks to the CCD cameras installed at Calar Alto, the orbit that the meteoroids follow before impact with the Earth can be calculated. In this way the solar system objects these meteoroids are coming from, can be also determined. If some of the fragments impact on the ground, it will be possible to calculate the location of the impact, so it will be possible to recover these rocks and analyze them. Besides, these detection systems allow obtaining the fireballs emission spectrum, as thanks to the use of diffraction gratings, the light the meteoroids are emitting when they disintegrate in the atmosphere can be measured. And then, we can know the chemical composition of these particles of interplanetary matter. Most of these fragments do not reach the earth surface due to the fact that the meteoroids impact the atmosphere at a very high speed (between 11 and 73 km/s aprox.) This abrupt collision against air molecules heats the meteoroid surface up, and in a few tenths of second it will get a temperature of several thousands of degrees Celsius, so the meteoroid loses mass as solid fragments, fluid matter or hot gas. During this process, light and heat is generated, giving rise to the phenomenon known as meteor. The most brilliant meteors (with a bright above a stellar magnitude of -4) are produced by the bigger meteoroids and they are called fireballs. When part of the meteoroid material survives its hard travel through the atmosphere and reach the ground, the surviving fragment is called meteorite.